Zend Framework 2.2 has Zend\Cache\Service\StorageCacheAbstractServiceFactory that allow us to configure cache services via array configuration. We just need to register the abstract factory and create a config array that represent cache options. I will give you an example if we want to create memcached service. from service that implements ServiceLocatorAwareInterface ( controllers or other service(s)). If you want to set multi-cache config, just configure, and call them :). thanks you very match . i am using skeleton app. i tested it and it gives better response time ~ 0.6 s.
is it (time) normal ? is there another way to get it better? I using xampp 1.8.1 as server. I am the only one who send request. that strange, maybe you load huge resource/data. I have no idea for it. Having the same behavior without any big data sets as well on really simple pages without any db connects. I’m going to debug what is causing this. Strangest thing until now: languages with po files, cache on file system is slower as no caching, cache on memcache is slower as file system and without cache. Tested in a productive environment on two servers, 250 measurements each, with two content locations. Any ideas? The test case (default language) to verification the test had in all 3 versions, like expected the same result/timing. i’ve just found out about this case.. anyone who feels the same thing.. please check your memcached in you phpinfo() and make sure it does exist.. i felt this after installing memcached i only restart nginx but you need to restart php5-fpm too for php.ini changes. I’m sorry, but what is “11211” next to ip address? Thanks. hello, this is the port (TCP/UDP) where memcache listens. So the error message but I have understood what I forgot? what zf version you’re using ? if it using ZF 2.2 , it should be worked. Please enable the memcached service in your system, then check might it helps you. it must be your config not accessible, or you forgot register the abstract_factories. the abstract class I have registered as they have written in tutorial. what actually your config/autolad/global.php configure ? 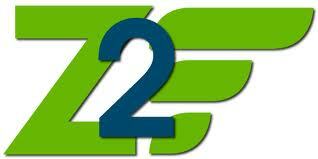 check if there is a file named Zend\Cache\Service\StorageCacheAbstractServiceFactory.php at your zf2 library. and find if ‘memcached’ is under ‘caches’ array. Yes I have, but why is not loaded? do you have any idea what is problem? memcached is installed and running with php exted. Im really struggling to get ZF2 running with memcache. My testscripts run without any problems and can write/read btw access to the memcache. do you send reply to skype: reach_phan ? based on your error, you don’t have “error” template, that’s not related with its cache part, that related with your skeleton, please do effor to find solution by looking the error. I ask for your email address, I will send the project for you, please help me!!! // Add servers if no connections listed. Get server set by $persistent_id or use default set. \Memcached or some Zend implementation? An abstract factory could not create an instance of memcached(alias: memcached). please take a look the full stack trace, it should be because you doens’t have memcached installed. please google for it. Please add an article to configure Redis also..! !